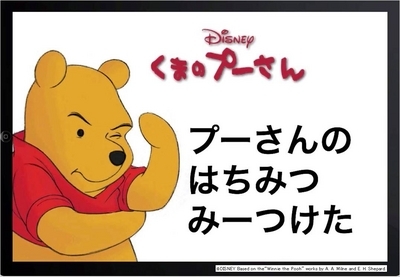 ・著作権表記 ： (C)DISNEY Based on the“Winnie the Pooh” works by A. A. Milne and E. H. Shepard. (C)DISNEY Based on the“Winnie the Pooh” works by A. A. Milne and E. H. Shepard.